Nick has a bevy of ladies who catch his eye. One earlier in the picture needs $100 for something, but who knows what she needs that cash for. Wink. That final curve kills me. 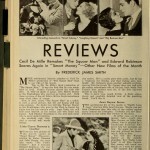 There’s a lot about history you can discover in watching classic films. Glimpses of things that everyone in the old movies treat as completely normal while the modern viewer at home is left scratching their head. 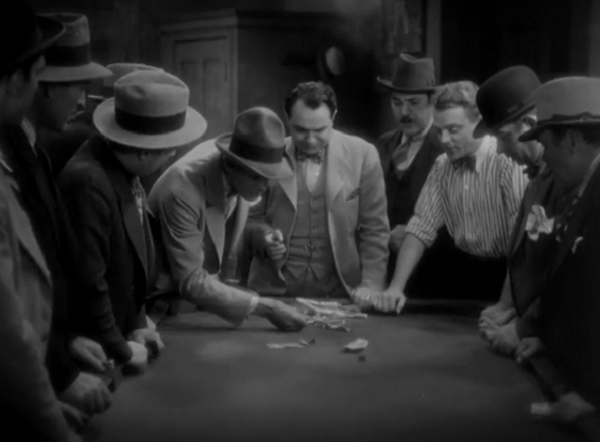 There are a couple of entries into this category for today’s movie, with the key one being the commonplace use of poker dice in the early 1930s. 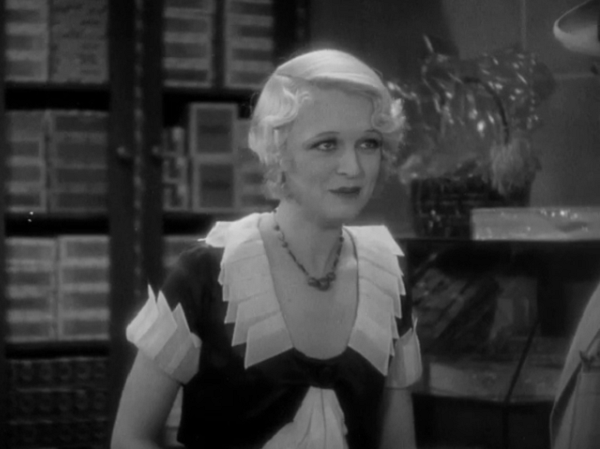 I’ve seen their appearance in probably a half dozen pre-Code films at this point, but they’re rarely referred to by name or explained. 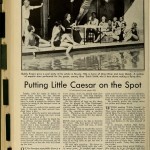 Just a piece of 1930s normalcy that seems perfectly bizarre today. The game involves five dice labeled with 10, Jacks, Queens, Kings and Aces, with the usual poker combinations determining who wins and who loses. It’s not the game that’s so interesting, but its omnipresence. Back in the day, stores and kiosks would have games of poker dice at the ready. Smart Money finally outlines the rules: a dollar to play, and if the customer wins, they get $2 off the merchandise. Best out of five, I believe. It’s a synch to figure out why this sort of thing didn’t last– I’m sure moral crusaders made such a thing easy targets. 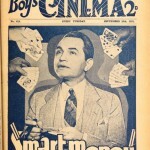 But seeing how commonplace gambling was at those little shops all over pre-Code cinema is telling of how things changed in one tiny little way. Speaking of gambling, I should probably get to the meat and potatoes of this one. 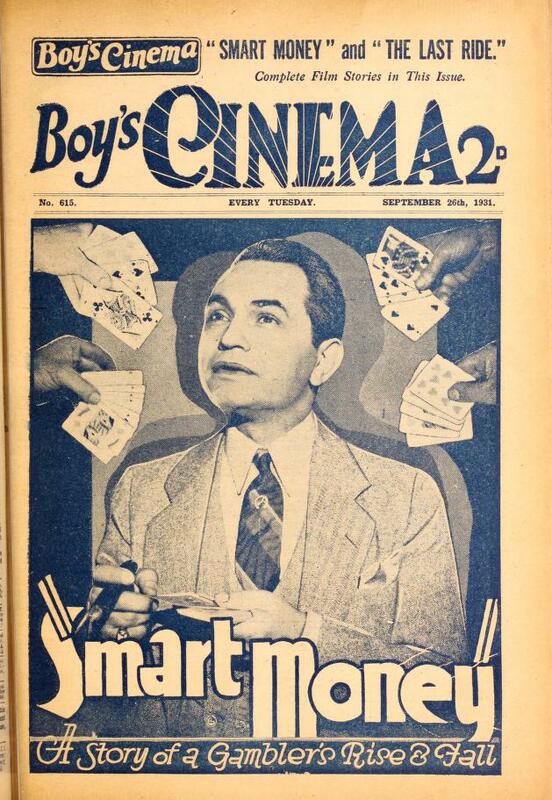 Smart Money is the story of one card sharp who works his way up from barber to casino kingpin. Since he’s played by Edward G. Robinson, a man who squints and struts through his movies like he just won a pageant, you know this rise will be done with a healthy measure of aplomb. It starts with his barbershop buddies sending him to the city with a $10,000 stake. Robinson’s Nick has incredible luck with both the cards and the ladies, so his suspicions aren’t aroused when a sweet girl named Marie manipulates him, and suddenly his ‘lucky at cards’ angle is kaput. Broke and broken, Nick vows to rise again and get revenge on the dame who used him. 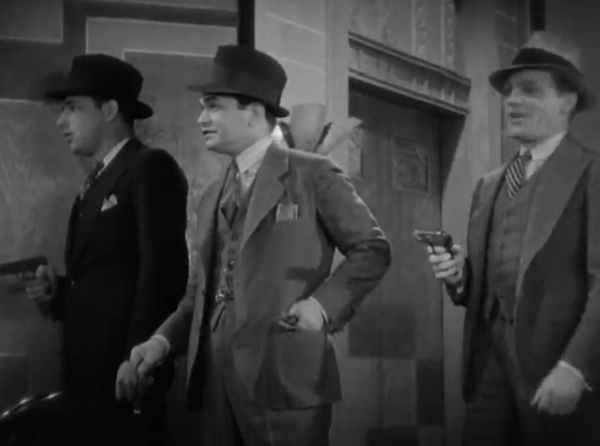 He starts at the bottom again, and his pal Jack (Cagney) comes to help him sort things out. With the help of some Greek backers, Nick’s soon gotten his revenge and is raking in the dough. He opens his own series of illegal gambling joints, and the D.A. can’t pin a thing on him. Problem is that Nick’s still got that weakness: dames. Even though he’s gotten back at Marie, he still falls hard for a blackmailer who he rescues from suicide named Irene (Evelyn Knapp). The problem is that when you’re a clever criminal, it doesn’t pay to fall for a dumb one. The D.A. worms his way into getting her to implicate Nick (“The end justifies the means” he notes), and while Jack does everything he can to stop her, the game is already over. 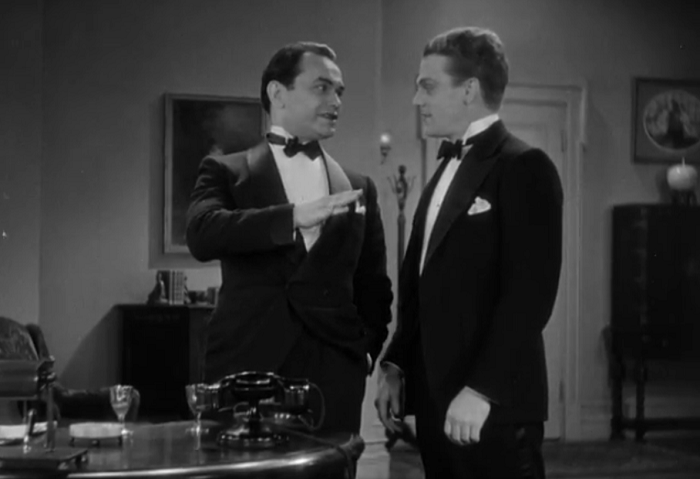 Smart Money wouldn’t be much without its pedigree, with Cagney and Robinson easily handling the rapid fire dialogue. Robinson’s wiseguy attitude meshes well with Nick, a character who is extremely nice and likeable even if he becomes a full fledged mafioso between act 2 and 3. Nick’s rise and fall are emblematic of Depression-era myth making, an everyman trapped in bad circumstances. While he seems like pretty much the luckiest man in the world, he’s cheated by crooks posing as honest men and brought down by a D.A. who uses blackmail on a sweet girl to get his dirt. It just goes to show that the proverbial luckiest guy in the country still has the deck stacked against him. Don’t worry, papa will provide. Nick’s luck runs out in the end when, during a brawl over Irene’s innocence in signaling a police raid, Jack is accidentally killed. When it’s revealed by the police that Irene really is the culprit, Jack’s skepticism is proved correct. For no matter how smart and slick Nick has been the entire picture, he’s still pretending to be a bully. At the core he’s still the small town barber whose heart remains two sizes too big. Nick is sentenced to ten years for his role in the accidental murder, and the film’s final scenes parallel earlier ones as friends wish him well at the train station, only this time he’s shipping off to prison rather than the big city. As a blind man plays “Auld Lang Syne” on the harmonica, even Marie shows up to wish him luck and admit that she can’t hold any hard feelings against him. Nick keeps a bird in a cage, and that subtle metaphor is used to encompass Nick’s life throughout. He’s a good, beautiful creature trapped in ugly circumstances. When he’s being shipped off to prison, hell, it may as well be death. But, somehow, he’s still optimistic about it. That’s just Nick. Lucky at cards, lucky at having henchmen waiting outside the door with guns! 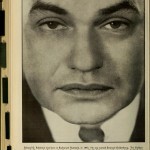 One funny thing to note about Smart Money is how much of it resembles Cagney’s picture from a year later, Blonde Crazy. Besides sharing both Cagney and Francis, both movies have an upstart criminal getting schooled in the big city, getting revenge, but then still being punished by the law in the end when their conscience wins out. 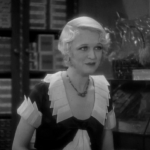 Though the kicker has to be that in Smart Money, Cagney essentially plays the Joan Blondell part! 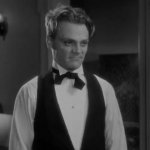 I don’t make that claim lightly, especially since Cagney plays an exceptionally effeminate role. Jack makes no moves towards any women (save for the fun pantomime he uses to help Nick know about the women that are ripe for the taking). He calls himself ‘Mom’ and seems extremely protective of Nick. We can draw any other conclusions here on our own. 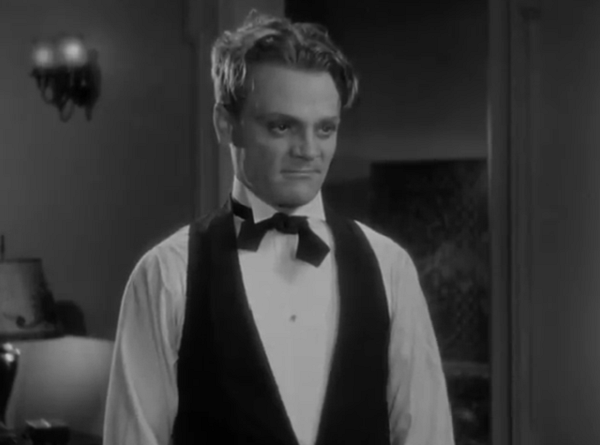 Despite him appearing in most of the movie, Cagney still plays the second banana to Robinson. While the pairing does have a fun sort of affection, there’s not much bite to it. Not a downside, just a note to anyone with inflated expectations. Also keep in mind that this isn’t a gangster picture: while a couple of guys with machine guns lurk in the edges, the movie is more interested in dissecting Nick’s character than delivering death and overblown machismo. It’s Robinson’s show, and sails off with it handily, a ball of charisma at the top of his game. Director Alfred E. Green (Baby Face, Dark Horse) gives the audience the playful tour through vice that it craves, and a hero that an era deserves. 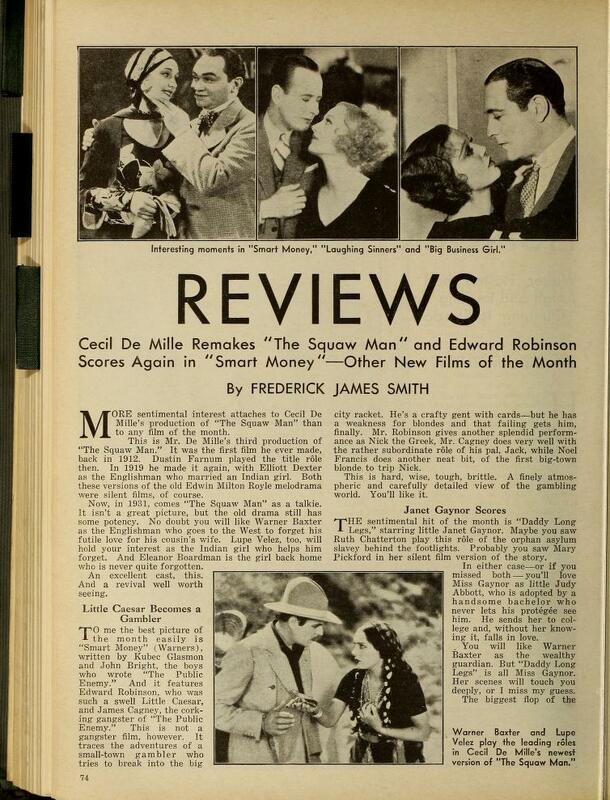 While it’ll be a shame that this is Cagney and Robinson’s only outing as costars, it’s a solid go of it. Cliff over at Immortal Ephemera really does a number on this one. 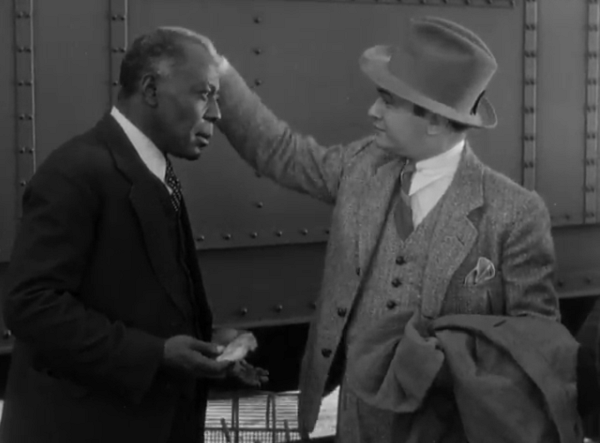 Besides going into the history of the film and the careers of Evelyn Knapp and Noel Francis, he also goes into great detail about the reason why Nick constantly rubs the heads of any negroes he finds for luck. His evaluation of the movie? 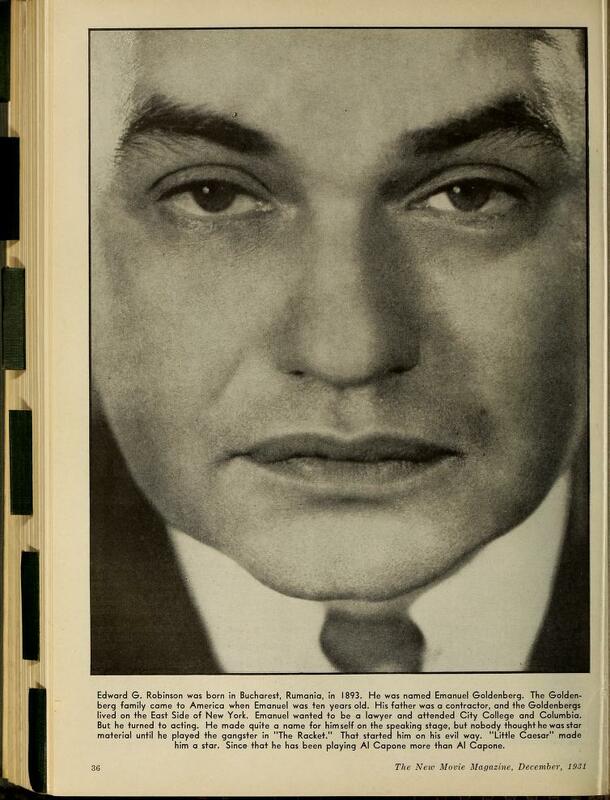 This is Edward G. Robinson excelling at what we think of Edward G. Robinson for. It’s hard to discern if the ending of Smart Money is ironic or simply “Hollywood” in its seemingly happy ending. Nick seems confident he’ll be back from prison, while his friends bid him farewell at the “Big House” train. Is it his usual false bravado, spurring on his own self-confidence and those around him, despite the utter ruin that faces him, or is it simple Warner Bros. way of sending everybody in the theatre seats home with smiles on their faces? Finally, that’s what wonderful about these marvelous little programmers; ultimately; the answer doesn’t have to be one or the other. Yes, this is awkward to watch. 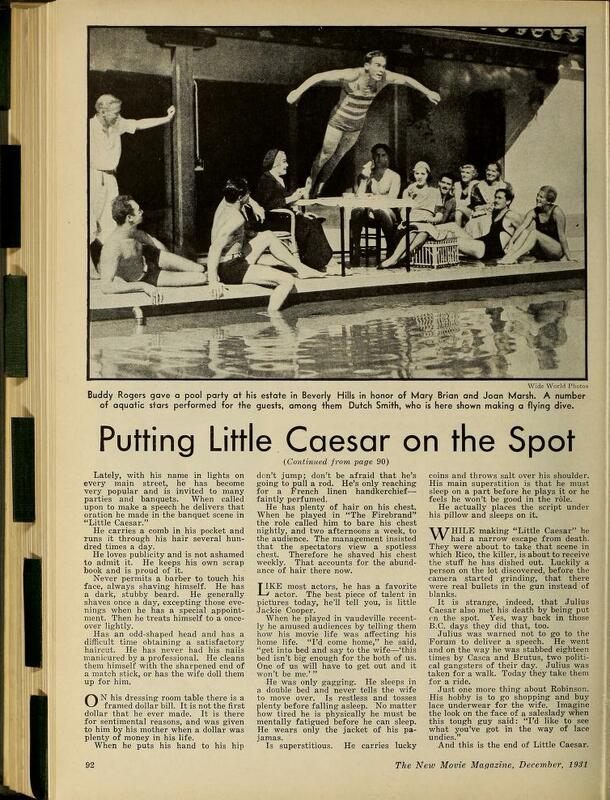 But even after rave notices and big box office for Little Caesar, Robinson himself wasn’t convinced of his up-and-coming status until he was sent by the studio to the premiere of Smart Money at the Winter Garden Theater in New York. When he found himself hiding on the floor of a limo to avoid the crowds of overzealous fans, his stardom was confirmed. 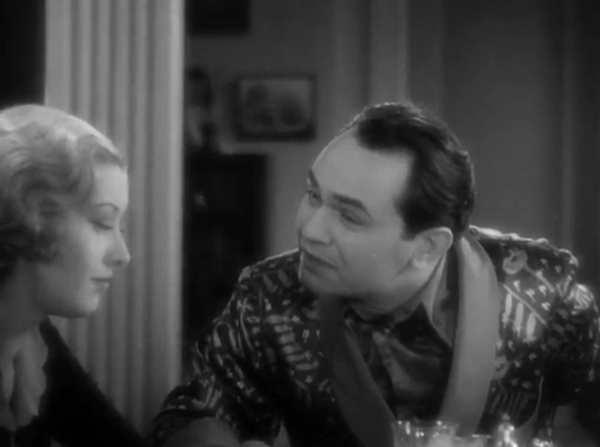 Edward G. Robinson’s then-wife Gladys has a bit part as a girl at the hotel shop who tells him that Marie didn’t show up for work that day. There’s a veritable bouquet of lobby cards over at Dr. Macro. 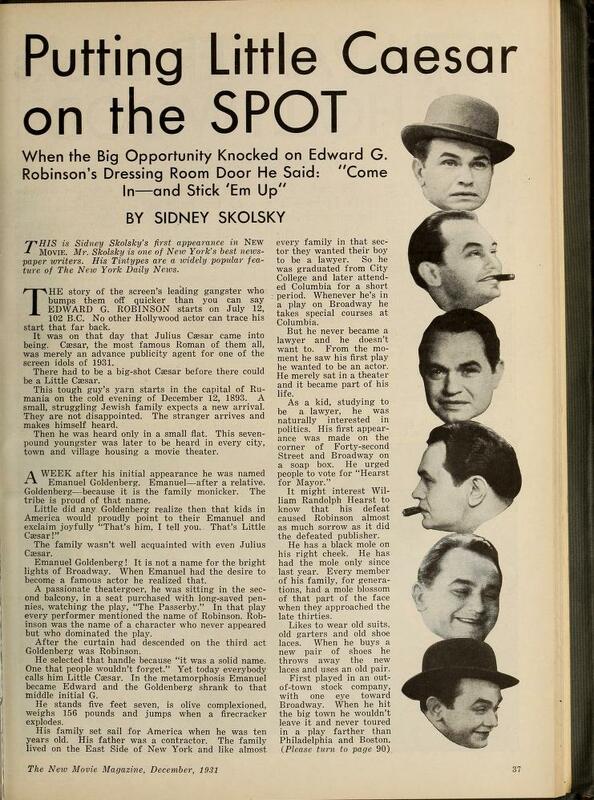 That’s Karloff in the goofy hat, Cagney in the goofy shirt, and Robinson… well, he’s the star of the picture. 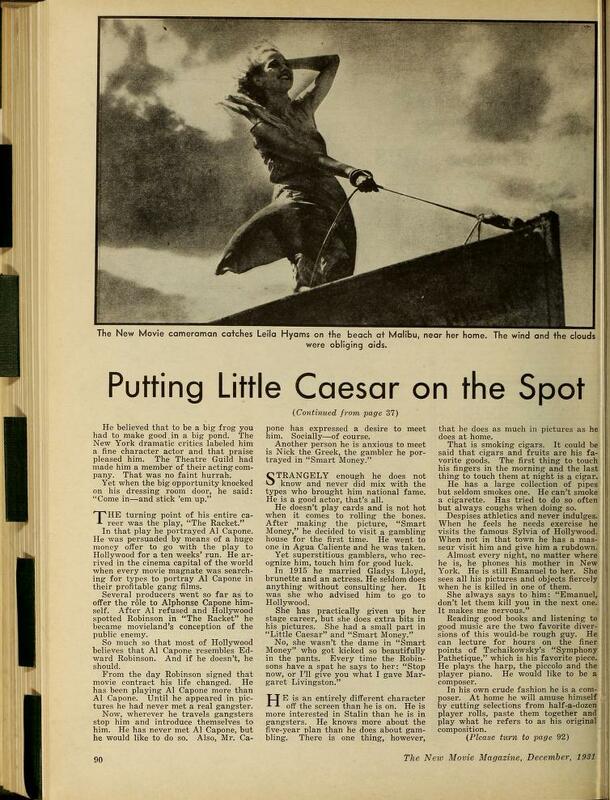 Pre-fame Boris Karloff appears in the beginning of the film, sharing a scene with Cagney and Robinson. 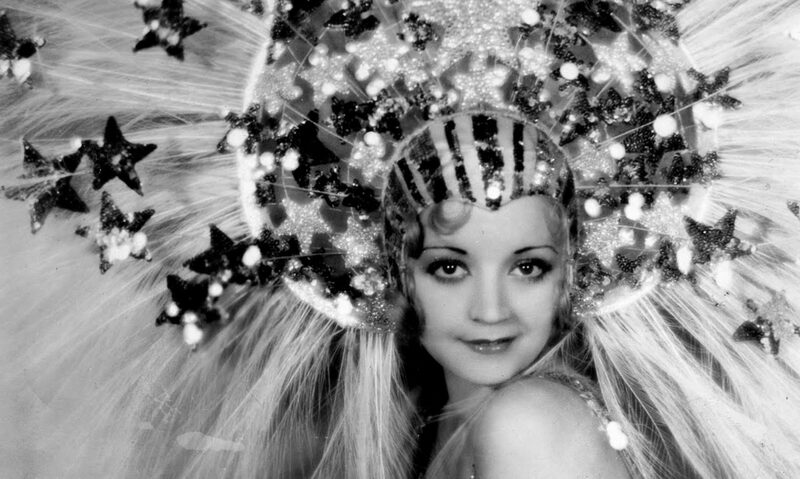 This makes it perhaps one of the most star packed moments of early-30s film– completely unintentionally. 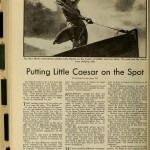 Karloff would come to fame a year later in Frankenstein. 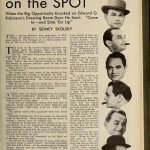 Cagney himself would gain fame in The Public Enemy, which was shot after but released before Smart Money. 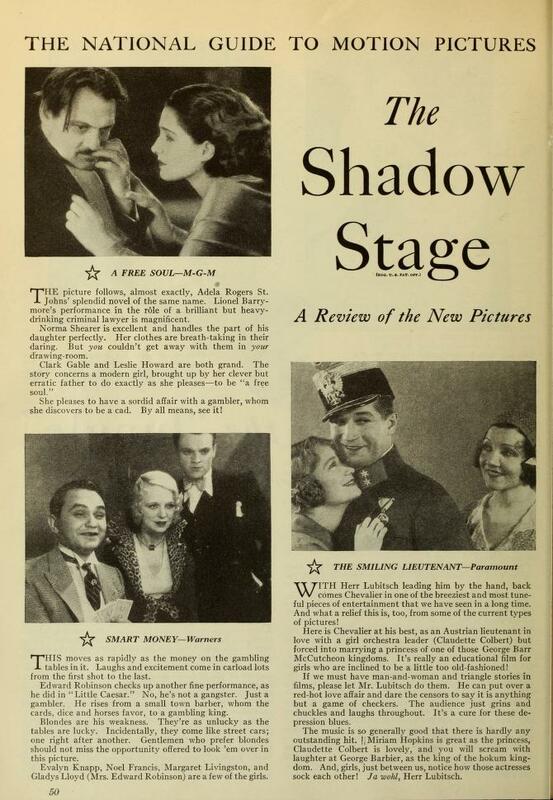 Also, it appears that the opening credits for the movie are actually from the film’s re-release in the 1940’s. You can tell because how different the style is from usual 30’s credits. It seems that the originals have not been located. 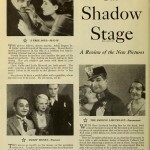 This film is available in the third Warner Brothers Gangsters set along with Cagney flicks Picture Snatcher and The Mayor of Hell. You can also get the movie individually. It can also be rented from Classicflix and streamed via Warner Archive Instant, which is how I caught it. I’ll have to watch it tonight on Warner Archive Instant. I was watching Lady Killer last night. That’s where I caught it, and it’s an excellent print. I still have to get around to Lady Killer myself. Thanks Karen! I think you’ll dig it. 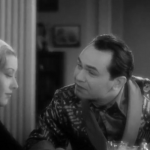 Another sign that it’s pre-Code is that the DA successfully frames Robinson by having a racing form planted in his jacket pocket. I think the Hayes Office would have rejected any script that showed law enforcement authorities framing a man and getting away with it. Previous PostPrevious Tough Dames in Satin Slips in D.C.!